It is dangerously and absurdly wrong. This administration totally and completely, dangerously and disastrously for U.S. interests misunderstand the Middle East. They are 180 degrees off course, that is heading in the opposite direction of safety. 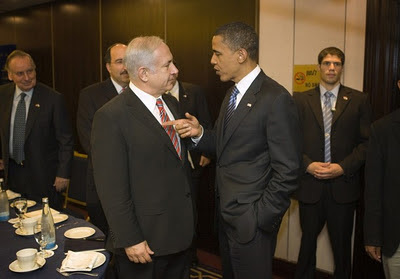 Despite the satisfactory state of relations on a purely military level, the Obama Administration is not a friend of Israel, even to the extent that it was arguably so in the first two years of this presidency. It is now an enemy; it is on the other side. Again, the issue is not mainly bilateral relations but the administration’s help and encouragement to those forces that are Israel’s biggest enemies, that want to rekindle war, and that are 100 percent against a two-state solution. And I don’t mean the Palestinian Authority, I mean the Islamists. And the Obama Administration is also a strategic enemy of Saudi Arabia, Bahrain, Oman, Kuwait, the United Arab Emirates, Algeria, Morocco, and Jordan. It is also a strategic enemy to the democratic opposition forces in Iran, Syria, Turkey, Tunisia, and Egypt. Having analyzed and studied the Middle East for almost four decades I say none of this lightly. And these conclusions arise simply from watching what the administration says and does. Read original article. . . These are harsh words about the Obama Administration and for those who don’t understand the current situation in the Middle East they will no doubt seem partisan, extreme, and alarmist. This is the worst tragedy of all: sadly and regrettably they are quite true.